As a general rule, napkins are usually placed to the left of a plate, on top of the salad plate, or under a salad or dinner plate. Remember to crease each fold as you go, to help keep your napkin in place while folding. Lay the napkin flat, pattern side down. Pick the napkin up and fold the top and bottom ends together, with the open sides of the napkin on the inside. 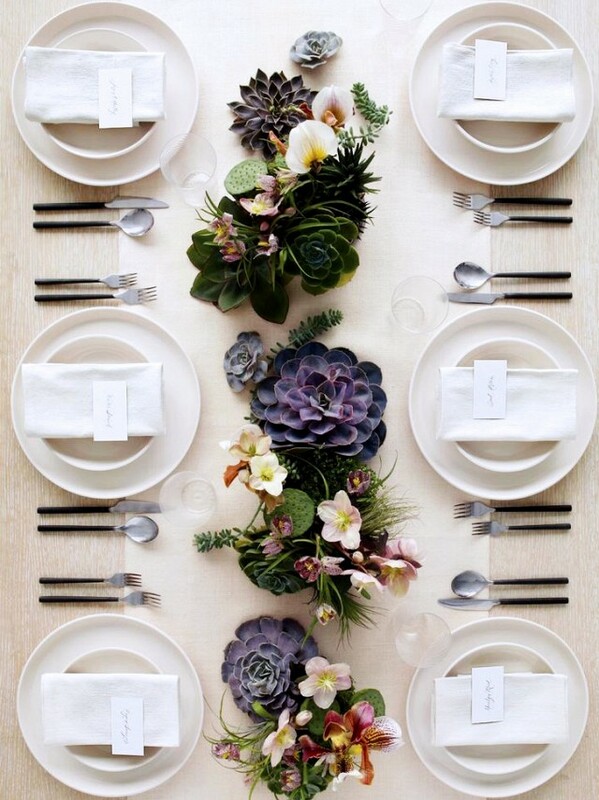 Now you may add your decor to the napkin, like a piece of rustic twine and a sprig of eucalyptus. Lay the napkin flat, pattern side up. Fold the napkin in half by bringing the top end down, this should create a rectangle. Fold the napkin in half from left to right to create a square. Rotate the napkin so the open corner is facing the top left. Bring the top fold of the top-left corner of the napkin down to the bottom-right, this will create a single diagonal layer. Flip the napkin over with the open corner facing down in the top-right. Fold the right side over about 1/3 of the way and crease the fold. Fold the left side over about 1/3 of the way and fit it into the little fold created at the bottom right. 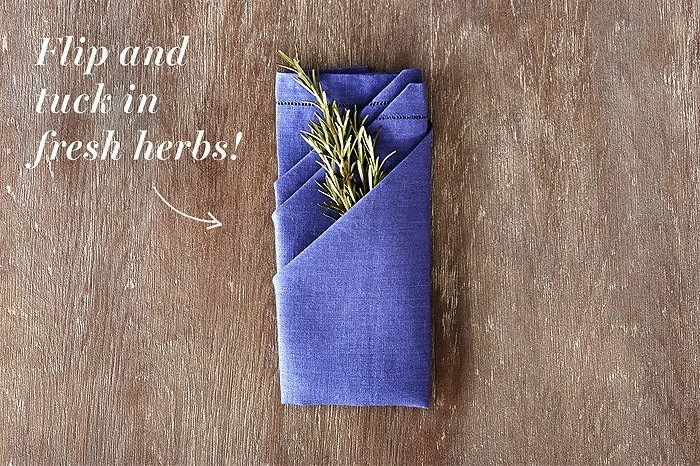 Flip the napkin over and fit silverware (or herbs!) inside the napkin – you’re finished! Fold the right side of the napkin one-third of the way. 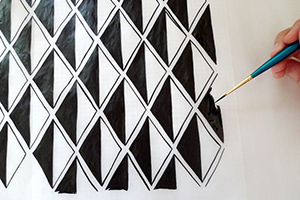 Fold the left side over the edge to make a perfect rectangle. Flip the napkin over with creased folds and place under the salad plate. Fold the napkin in half diagonally both ways, pressing to crease, then open the napkin. 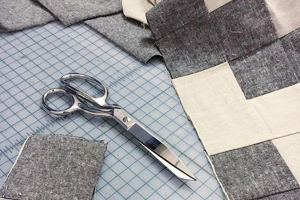 Fold all four corners to the center, creating a square. Flip the napkin over and fold the corners to meet at the center. With a finger pressing down on the center of napkin, pull up the flap from underneath out to each corner to create the lotus petals. 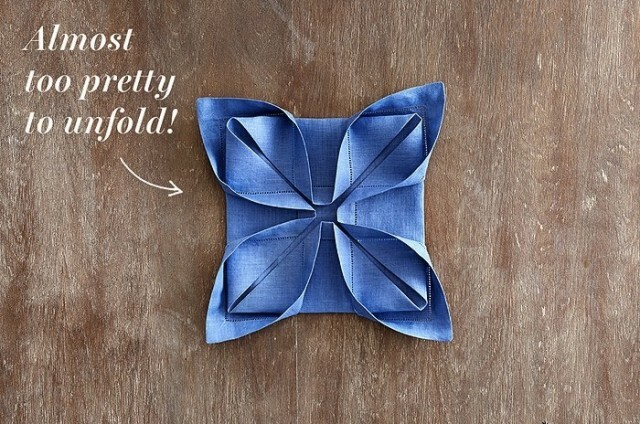 Napkin folding is something of a lost art! 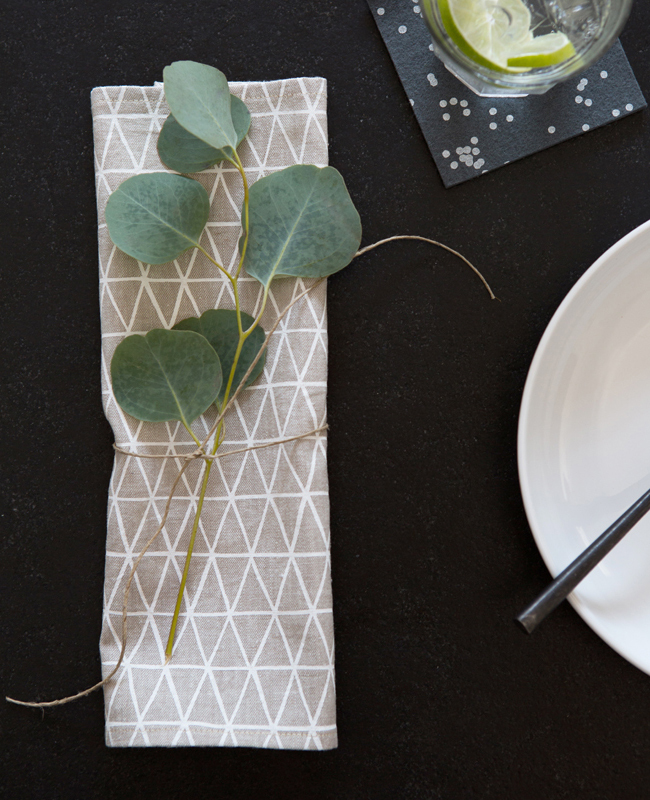 A cloth napkin instantly elevates dinners at home, so try incorporating this simple (and free) technique to add a special touch to your table. If you’re looking for some napkins to add pattern to your next dinner party, shop Cotton & Flax’s napkins here. If you’re using Cotton & Flax linens for a holiday party or dinner this season, tag us on Instagram to show us how you’ve styled our pieces! Alexandria Austin is a maker and small business strategist. 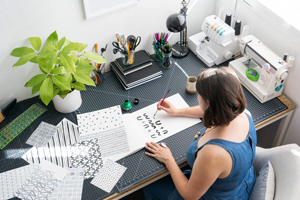 After studying business in college and realizing her love of working with creatives, she started freelancing for small businesses and bloggers in marketing and support services. She also owns a small shop filled with handmade products of her own, Midland Co.